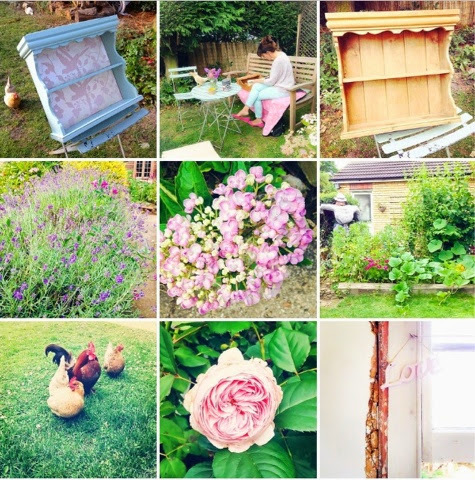 I'm keeping the walls and suite in the bathroom pure chalky white but I've headed outside to the flower beds for some pastel inspiration, and have made the most of the weather by taking my work outside too. Inspired by the sky and the pinks of these flowers, I've re-loved this little wall unit to reflect these pastel shades and gone for a summer chintz and bird paper for the backing from Laura Ashley. The paint is one of my favourites from Farrow and ball in shade Dix blue. I think this will look lovely against the calm white of the walls. I can't wait to put it up!